The 17.4 kilometre upgrade of the Hume Freeway through Albury - Wodonga is a federally funded project. The project was the single largest infrastructure project to be undertaken in regional Victoria. 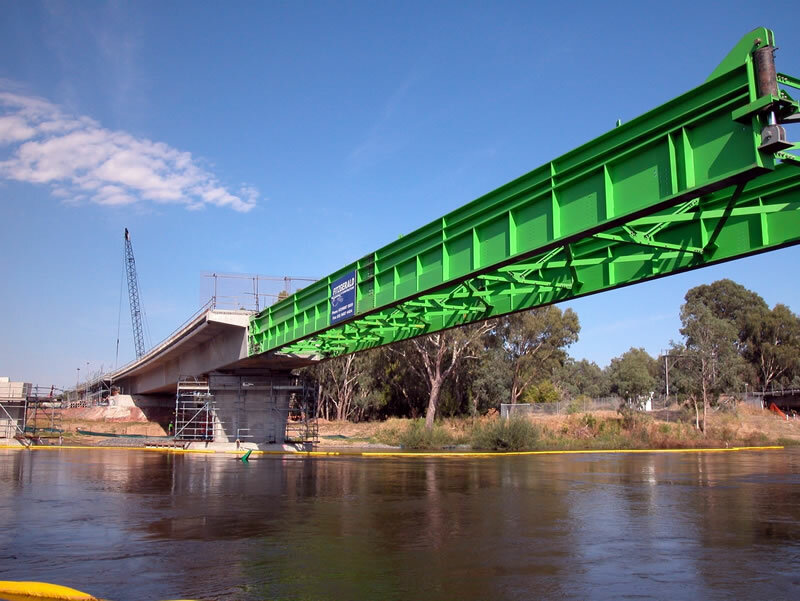 Our works within the upgrade, included the construction of "Spirit of Progress" bridges across the Murray River. The bridges were approximately 200 metre long of cast in situ, increment launched, box girder bridge construction. It was the first time within Victoria that a twin bridge was incrementally launched and constructed simultaneously. A 195 metre long Sydney bound bridge was 195 metres long with 9 segments whilst the Melbourne bound bridge was 205 meters long with 11 segments ranging from 9 to 24 metres in length. 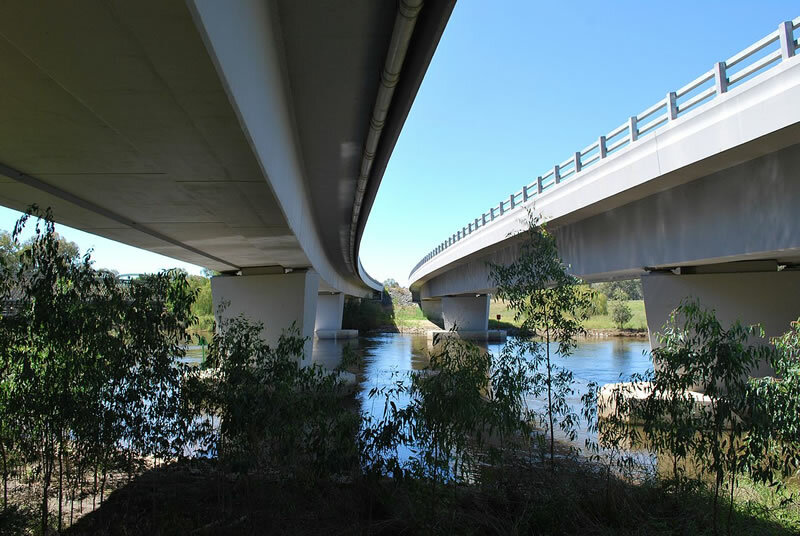 Each bridge had 4 spans from 40 to 57 metres in length over the Murray River. All segments were built on site utilising a casting platform built on the Wodonga side of te Murray River. It involved 4 stages being: segment cast, segment cure, connecting the segments and later launching out over the Murray River. Each segment was cast in two stages where the base and walls (web) was cast first with the deck following thereafter. Cycle time achieved ranged from 10 to 12 days. Curing was achieved via stream curing which enabled the concrete to reach a strength of 35 Mpa after one day, thus enabling the segments to be stressed and prepared for launched upon completion. Launching of the 300 tonne segments was undertaken using 2 number 600 tonnes, where friction reduction measures were undertaken to simply launch the bridge which was guided by directional guide plates. Attached to the front of the bridge was a 43 metre long steel tapered launching nose which was designed to act as a guide and cantilever support to the launching process. 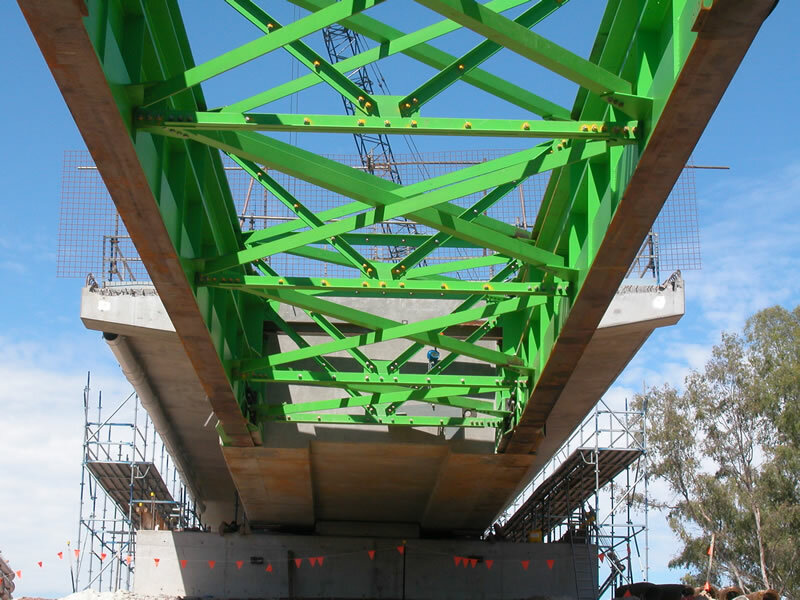 As the equivalent length of box girder bridge weighs 600 tonnes in comparison to the launching nose of 100 tonnes, this results in a significant reduction in bridge sag stresses by the nose reaching the next bridge pier at an earlier stage. By reaching the next already constructed pier, the tapered profile of the launching nose ensured the correct alignment of the following launched bridge section, so that it slides effortlessly across the pier. 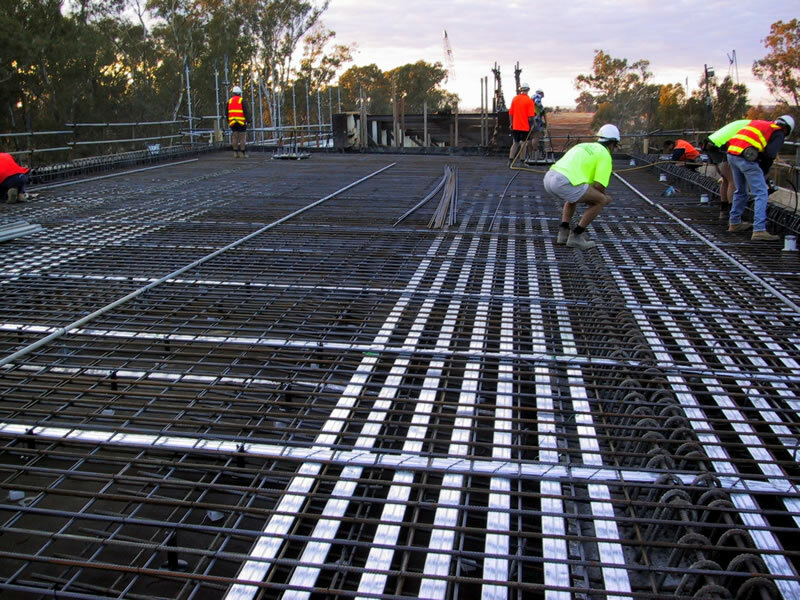 Due the innovation adopted on this project, it was submitted by VICROADS to the Engineering Australia Excellence Award for its innovation, quality and program adherence. The video provides further details of this innovative bridge project.